I can find no direct reference to this at anywhere. 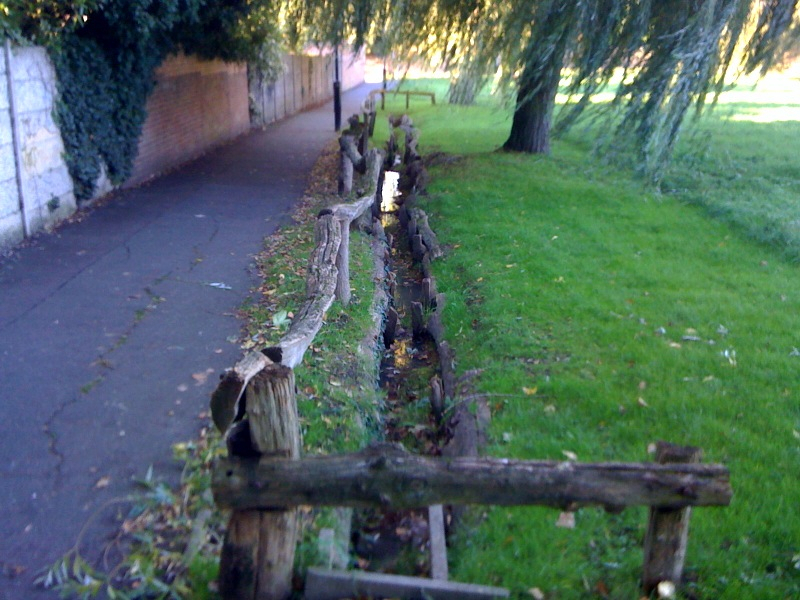 However this blog claims that the Lower Kid Brook "rises in the area near the junction of Shooters Hill and Well Hall Road" which would put it round about here. However another entry on Edith's Streets claims that it "rises at the Back of [the] police station and flows towards Broad Walk" which would put it slightly to the north of here. So is this the source of one of Kidbrooke's two lost waterways or just an unrelated piece of drainage? And if not so do the Brooks survive anywhere else in Kidbrooke still? In the coming weeks I'll be continuing my search for the lost Kid Brooks. All help as ever, gratefully received!